Whenever and wherever you decide to travel, one of the first things to do before packing your suitcases is to make a hotel reservation. Before you place your reservation, you should choose a hotel that will make your stay in the strange environment as pleasant as possible. What will help you to make the right decision? The hotel's website of course! 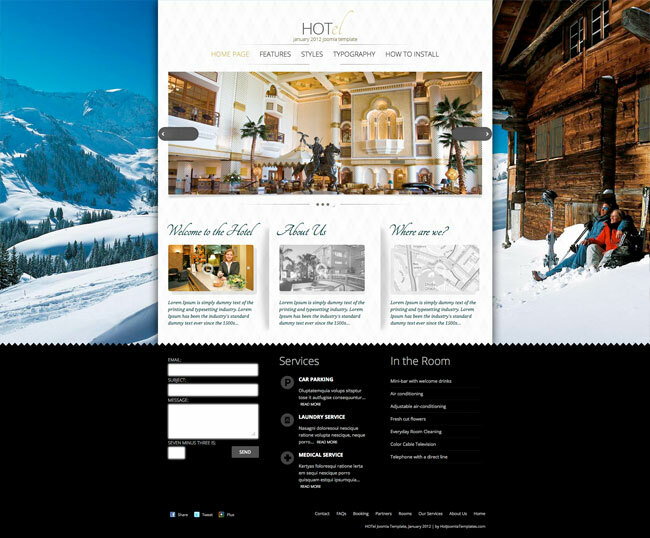 It contains the most important information about the hotel and the services it offers. Also, it contains some nice images and information about the hotel's environment (such as weather conditions, map guides...). 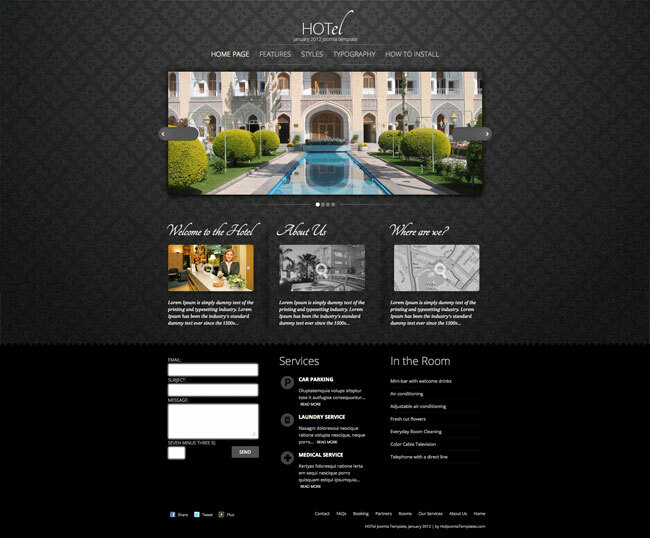 That's the features of responsive Joomla HOTel template. It's equipped with 3 commercial extensions (with template purchase you get them for free) and 2 free extensions that's preinstalled. Although the online reservation is not a part of the template, you can install one of the Joomla extensions for such purpose yourself. There are plenty of them available in the market. Also, in order to save time and get some extra features, the hotel managers may decide to use Booking.com for reservation. Whatever reservation system the hotel will use, this template is neutral regarding this matter. 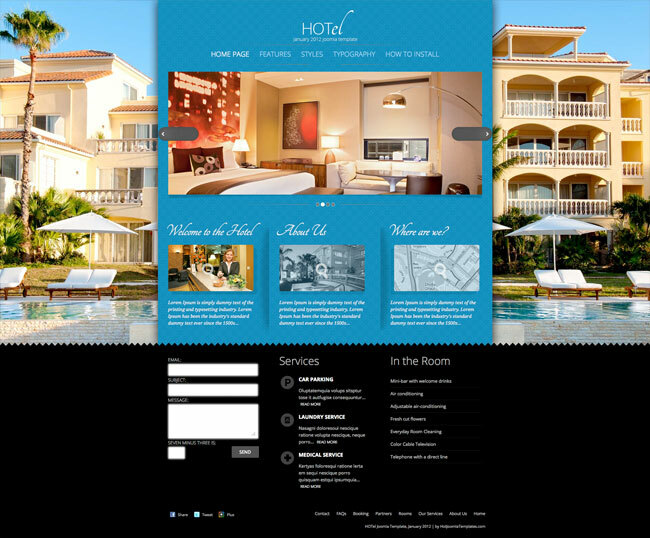 Responsive Joomla HOTel template will help any hotel website to gain more visitors! 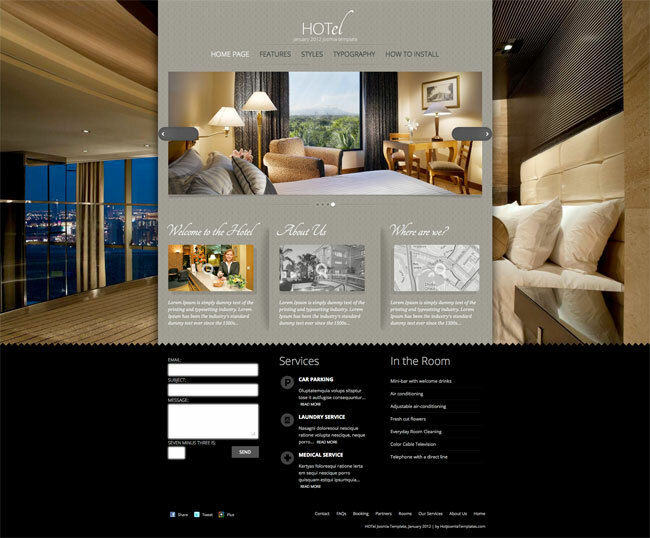 More website visitors will fill the hotel rooms with guests!